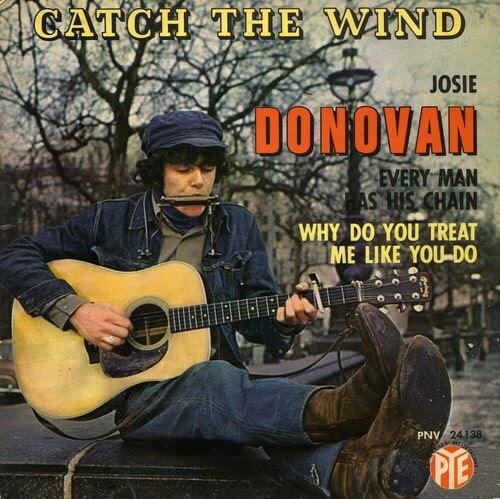 Donovan's folky 1965 recordings for Pye Records (they were released in the U.S. by Hickory Records) bear only a superficial resemblance to the more famous pop material he began issuing a year later when he switched to Epic Records. True, the fey gypsy and flower power sensibility was already present in songs like "Turquoise" (which is as gorgeous as it is ridiculous), but the pre-"Sunshine Superman" Donovan had a good deal more Woody Guthrie in him than he did Timothy Leary. His work from this period has been compared (usually unfavorably) to Bob Dylan, but the strongest influence at play in these songs is probably Bert Jansch. In the end, the Pye tracks form a complete and distinct cycle in Donovan's canon, separate from - but not necessarily lesser than-his more ornate pop material. · Brian 'Liquorice' Locking: bass. You are welcome! Sorry, i can´t write in your language. Greetings!